For this (late) installment of “Want It Wednesdays”, I’ll recap a little from last week’s post and talk about what I’m lusting over this week! So last week I posted about my burning desire for a new dining room table. Well, the round table didn’t happen, BUT I did snag a large rectangular dining room table for a sweet deal. It seats 6 comfortably and could probably fit eight if I really tried. It needs to be sanded down and stained (as almost every piece of furniture I bring in does), but I was waiting until I decided on chairs befored I chose the stain. Well, I decided to go with white upholstered, skirted parsons chairs. They’ll be coming in any day now and then the slipcovers will be off to get monogrammed. I should be able to post a whole new dining room in the next two weeks or so! Now that I’ve got the furniture (and a newly redecorated wall and buffet that you will see in my next post), I’m moving on to….what else?! THE CEILING! Currently this thing is hanging above the table…. And for those of you who are giving it the benefit of the doubt thinking “oh, well that could be cute country cottage-ish”….no, not so much. This thing is straight up 1995 Home Depot clearance rack. I think the previous owner of the home “thought” they were updating by putting this in. So isntead I would love to grace my ceiling with the presence of THIS BEAUTY! 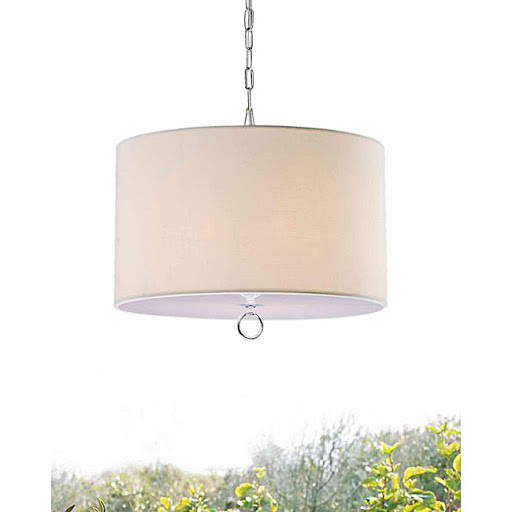 Just imagine it hanging over my new table and chairs (that you’ll also need to imagine for the time being). Perfection. I’ve also been thinking about what to put on the empty wall of my bathroom. I’m not really into the bathroom-themed stuff and our bathroom is very neautral…white and khaki. So at first I wanted to add something with a little color. But alas, bold colors just are really for me. Then I ran across this photo on http://www.inthefunlane.com and I think it’s originally from Martha Stewart. I love how bright and open the room looks with all of the mirrors. 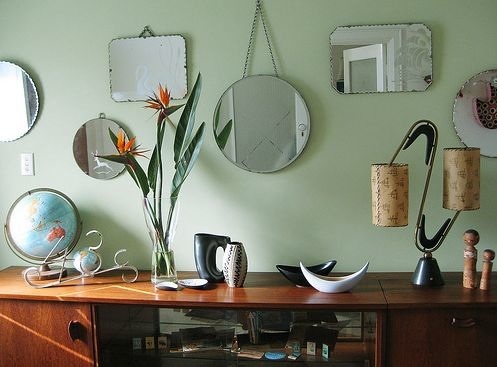 And I love the eclectic collection inthis photo…. And considering how small our bathroom is, all that reflection can only be a good thing! 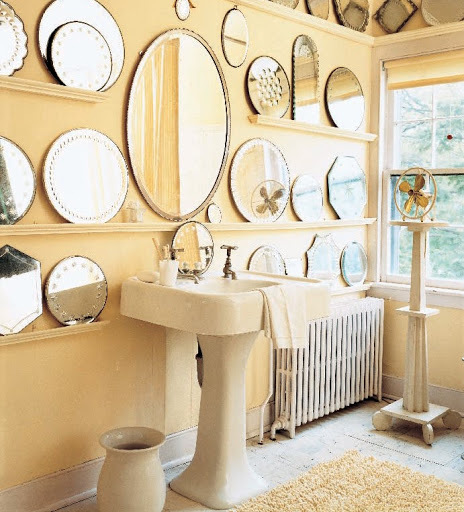 So it looks like this week I’ll be off scavenging for vintage, frameless mirrors to create a collection for the bathroom wall. 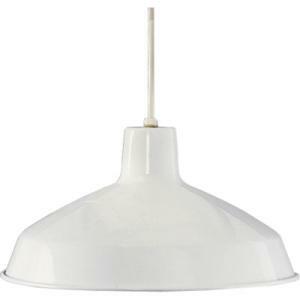 And I’ll be purchasing the dining room fixture in the next few weeks as well. (I’m still working on the patio furniture…using my birthday as an excuse to get it and I think it’s starting to work on the husband)! By the way, how do you like the new look for my blog? It’s fun right?! Props to http://www.backgrounfairy.com for the design! Go forth, followers, and WANT! (Even though it’s Thursday…and wanting is only allowed on Wednsedays…..yeah right).